The most recent climate change report from the UN was yet another wake-up call that business as usual won’t stop the runaway effects of our warming planet. It’s time to focus on solutions and design strategies that create products, materials, buildings, and systems that help all species thrive. Biomimicry — emulating nature’s patterns and strategies to develop sustainable technologies — can help us get there. Through the Biomimicry Global Design Challenge and the Biomimicry Launchpad, the Biomimicry Institute and the Ray C. Anderson Foundation are working to support nature-inspired innovators to bring their ideas to life. This year at Bioneers, six international teams from the Biomimicry Launchpad will showcase their climate change solutions, all based on lessons learned from living systems. For the past year, these teams have been testing and prototyping their designs and working with biomimicry and business mentors to try to bring their innovations closer to market. Restoring forests with a multifunctional system that protects tree seedlings as they grow. Bruno Rutman Pagnoncelli was 1000 feet above the Atlantic rainforest in Brazil when the idea first came to him. Strapped into his paraglider, soaring high above the earth, he saw acres of remote forest lands stripped bare of trees. He knew that current methods of reforestation are labor-intensive and high-maintenance. From his perch in the clouds, he wondered — was there a way to disperse seeds just like nature would do it? A way that would ensure that seedlings survived and thrived without requiring as much human maintenance? 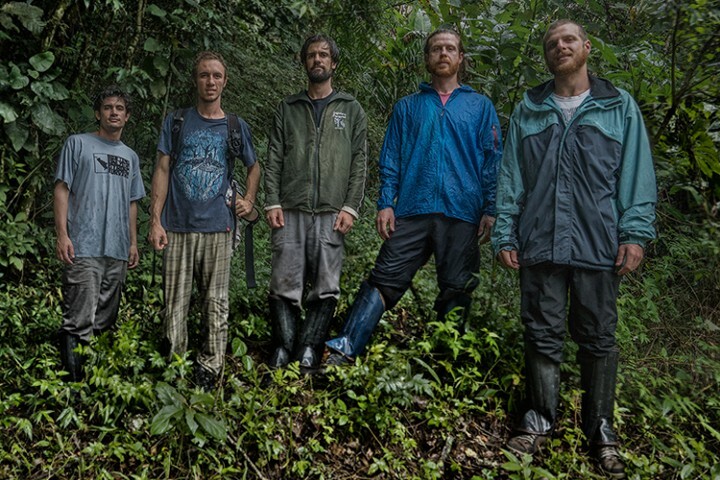 When he landed, he started sketching out what would become Nucleário — a new way to restore the rainforest, inspired by nature. Nucleário is an all-in-one reforestation solution, designed to be used in remote areas of the Atlantic rainforest. The device significantly reduces maintenance costs by protecting seedlings from leafcutter ants and invasive grasses. The design also prevents soil leaching and increases soil moisture levels by functioning like leaf litter, and mimics how bromeliads collect water from rain and dew to provide a microclimate that attracts biodiversity. After winning a number of design awards for the initial Nucleário design, Bruno teamed up with his brother, Pedro Rutman Pagnoncelli, who quit his job to help his brother with his business and bring this concept to market. Their main goal is to help make reforestation efforts less expensive, less dangerous, and less reliant on human maintenance. Currently, there are over 17 million hectares in the Atlantic rainforest targeted for reforestation efforts, and Nucleário could be a critical tool in the success of those efforts. The Nucleário team has been testing the system with the World Wildlife Federation in Brazil in the Cerrado region, one of the most biologically diverse areas in the world. “We’re testing Nucleário against a control group and, after two months, we’re already seeing positive results,” said Bruno. Extracting carbon dioxide passively and efficiently to create cleaner air. If you had been walking by the architecture building at Cal Poly San Luis Obispo one day this past July and peered upwards, you would have seen a large group of people, up on the roof, intently sketching, planning, and debating. At this rooftop gathering, a team made up of architects, chemists, and designers came together to hone a design that they hope will help create cleaner air in dense, urban environments. ExtrACTION is a technology that extracts carbon dioxide from the air without using electricity or fuel to operate. This team studied how plants like cacti maximize air flow and atmospheric water capture to create a carbon-scrubbing and filtering panel system. It’s an affordable, low- maintenance, resource-efficient approach that can be used in a variety of locations, including on buildings and along freeways, to lower greenhouse gases in the atmosphere. “We’re trying to extract the CO2 passively, which, as far as we know, hasn’t been done before,” said team member Kristin Fauske. ExtrACTION started as an architectural thesis project, which won first place in the Biomimicry Global Design Challenge student competition in 2017. 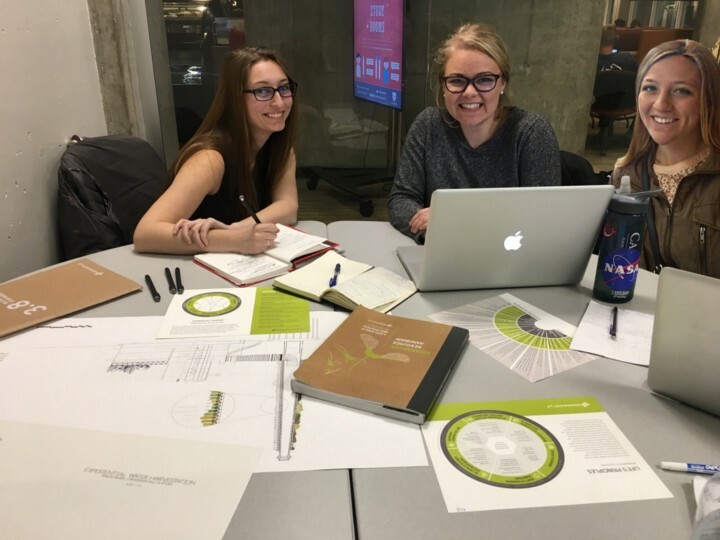 The team was invited to join the Biomimicry Launchpad, and six additional team members came on board to join the original three members — Fauske, Megan Hanck, and Anna Laird. The team looked at over 50 different biological organisms to study models for how to extract airborne CO2. The result? A new approach to capturing CO2, using a panel system that extracts the CO2 from ambient air using a resin that mimics the catalyst in natural CO2 conversion to bicarbonate. Studying nature’s filtering functions to help communities breathe easier. 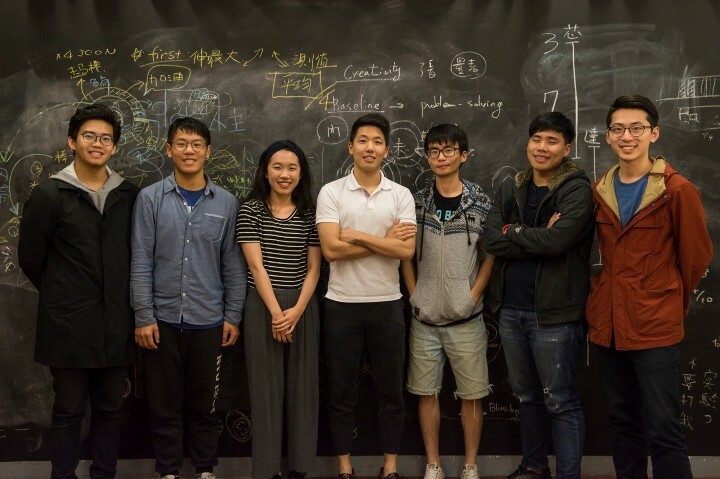 Tsung-Yi Lin and Hung-Jen Lin are looking to nature to help communities breathe easier, starting with those hardest hit by air pollution in Taiwan. After taking a trip last spring to visit small villages located directly beyond the boundaries of one of the largest petrochemical plants in the world, the two students from National Taiwan University and their collaborators saw first-hand just how local residents’ health and livelihoods were being affected by pollutants. In particular, they saw how particulate matter, specifically PM2.5 — the kind of pollution that is so small and light that it remains in the air longer and can more easily settle into people’s lungs, plants, and more — was affecting aquaculture farmers in the region. Their innovation, called Refish, is designed to capture this particulate matter in an energy-efficient way. The design is meant to be accessible, affordable, and easily mounted anywhere, helping communities improve air quality directly and protecting aquaculture ponds from the detrimental impacts of pollution,. The team applied lessons from the filtering functions of African violet leaves and the oral cavities of fish to create a filter that is able to trap particulate matter without getting blocked. The team also looked at how fish like the devil ray filter food particles via a gill structure that prevents particles from going out through the gill, and instead, flow into their throat. Originally, the team designed their innovation to be placed on vehicles, to capture PM 2.5 on the road. After visiting the small villages in the shadow of the petrochemical plants in Taiwan, they pivoted to instead focus on the aquaculture farmers, whose fish are dying because of the pollutants in the air. The team is currently working on testing and prototyping their design in the lab and plan to test it in the field soon with the villages they visited. Creating a cooling system that feels like being under a shady tree. Imagine how it feels to be underneath a shady tree on a hot day. Now, imagine if you could feel that same way inside a building, even at the height of a sweltering afternoon. Syndy Dovale Farelo, Samuel Serna Wills, and their team from Barranquilla, Colombia, are developing a new, energy-efficient way to cool homes in their region, by creating a plant-powered alternative to air conditioning. In Barranquilla, Dovale Farelo says, residents are always conscious of the heat, organizing their days around it and making their decisions based on how to stay comfortable during the hottest parts of the day. Climate change is only making the problem worse. “Architectural designs are usually made by people who don’t live in Barranquilla and don’t design the houses for Barranquilla,” said Serna Wills. The result? People rely on air conditioning to cool down inside—if they can afford it. With refrigerants being one of the top contributors to global warming, developing an alternative to inefficient, chemical refrigerant-fueled air conditioners can have a major impact. The team developed Cooltiva, which uses water, plants, and wind to create a cooling system that can work actively or passively. The design directs air through cooling channels, where it accelerates and loses heat via evaporative action. The team was inspired by how rose-shaped plants like the frailejón capture and direct water with their funnel shape and channels. They also mimicked the process of evapotranspiration to reduce the temperature of the incoming air using only water, and incorporated plants into the design to block sunlight and direct heat. Developing a circular HVAC system that harvests and uses waste heat. For years, each time Mauricio Ramirez stepped in an air conditioned building, he couldn’t help but think – can’t we do better? He knew that city buildings gobble up huge amounts of energy, with the majority of their energy usage focused on heating and cooling. As an architect and certified biomimicry professional, he knew there are hundreds of examples of how living organisms regulate temperature in energy-efficient ways. When he started pursuing a master’s degree in biomimicry, he decided to tackle the problem head-on. He teamed up with fellow biomimics Daniela Esponda, Maria Luisa Gutierrez, and Joseph McIlwain to create BioThermosmart, a thermal management system that harvests waste heat from buildings and cycles it back into the system. The team started to think of buildings as if they were large animals, studying how elephants, alligators, and toucans regulate temperature through their circulatory systems. “A lot of wasted heat is generated by machines. We are trying to manage heat waste in a way that can be used and distributed to lower energy consumption,” said Esponda. BioThermosmart mimics the way the veins in elephants open and close to release or keep heat. The team’s goal was to use liquid in the same way that nature uses liquid to move heat, in a passive way. They designed a series of patches or stickers that are connected to each other by insulated hoses; when the temperature rises or drops, a low-power pump releases or captures heat as needed. The system is operated by a controller circuit that sends data to a cloud server. Learning from soil ecosystems to build strong connections in urban food ecosystems. Picture this: it’s lunchtime and you’re hungry for something healthy and nutrient-packed. You open an app called Rootlink on your phone and place your order for a salad. You know that the salads contain vegetables that were grown by local farmers and that they were prepared by chefs at a local kitchen. You order your salad, then go pick it up from a local distribution point, knowing that you not only will have a delicious lunch, but that you’re supporting your local food chain in the process. Naeeme Mohammadi, Hooman Koliji, and the rest of their team created Rootlink to help support thriving local food ecosystems. They’re working to create a network of local partnerships, a digital platform, and a transportation and micro-distribution system, to connect local farmers to local community kitchens and make delicious, nutritious, locally-inspired meals that are accessible to all. “We want to reimagine and reintroduce how people can connect to green food in a way that they’re empowered and they have choices,” said Koliji. Mohammadi and Koliji first met as undergraduate students in Iran. Years later, they reconnected in Baltimore, where Mohammadi was studying social design and Koliji was teaching at the University of Maryland. Mohammadi was part of a team that won a finalist spot in the Biomimicry Global Design Challenge and she wanted to have the opportunity to take their idea further. She and Koliji teamed up to develop a hyperlocal, distributed food system that could operate with a minimal carbon footprint. Rootlink’s approach was inspired by how mycorrhizal fungi support healthy soil ecology. Rootlink is designed to operate like a mycorrhizal network, delivering resources within urban ecosystems. Local farms and Rootlink partner kitchens produce and process the resources (in this case, healthy food). Rootlink then identifies key distribution points within the urban area. The team is now based in San Francisco and is currently working to test this concept with partners, including the Butterfly Movement. This is the first time that the two entrepreneurs will be coming to Bioneers, and they are eager to connect with people who care about improving our food systems and reducing climate impacts.